I bought my first cashmere cardigan from them way back in, oh I don’t know, 2008? and it’s still in my wardrobe now. 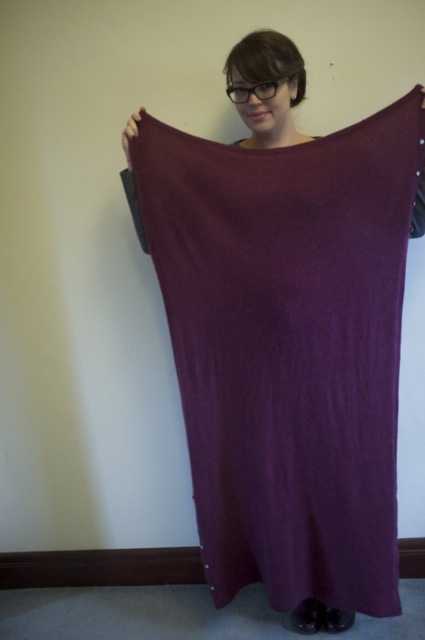 It started me on a long, self indulgent, and expensive addiction to good quality cashmere clothing. Every winter for the last couple of years I’ve saved my pennies, then taken to the trip out to Eugenie’s fragrant (seriously, this shop smells amazing) and welcoming store with the express intention of buying one of their legendary button capes. And every year I end up leaving with a cardigan, instead. Not this year! 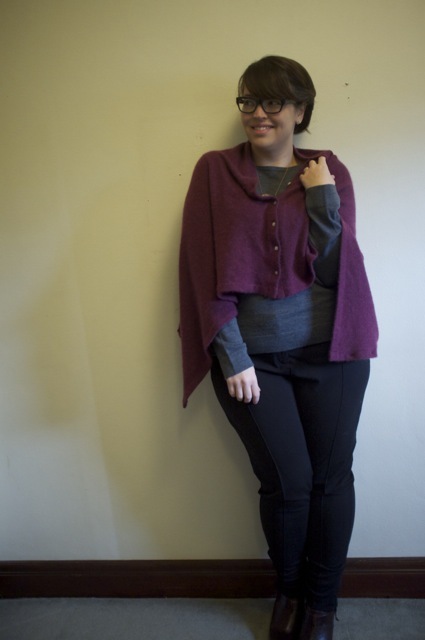 This year I put my blinkers on and powered through all the delicious cardigans and made my way down to the rack of capes, and I’m SO GLAD that I did, because I’ve been wearing the crap out of my button-cape since I brought it home. To start with it’s deliciously soft and snuggly – it’s a heavier and slightly fluffier yarn than the cardigans, and as a result it’s wonderfully warm, and it drapes beautifully. 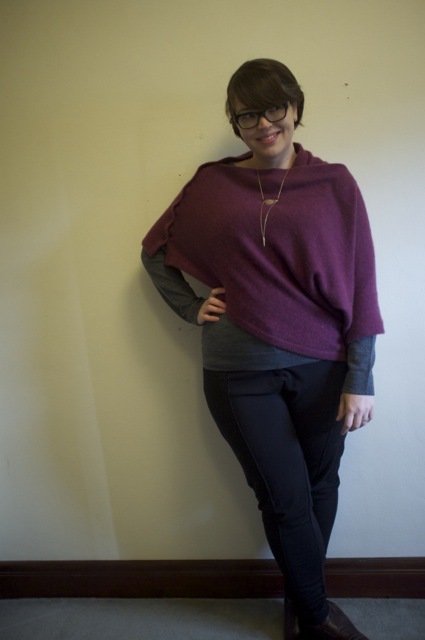 It’s essentially a long rectangle shawl with a line of buttons along the long edge on each side towards the bottom. 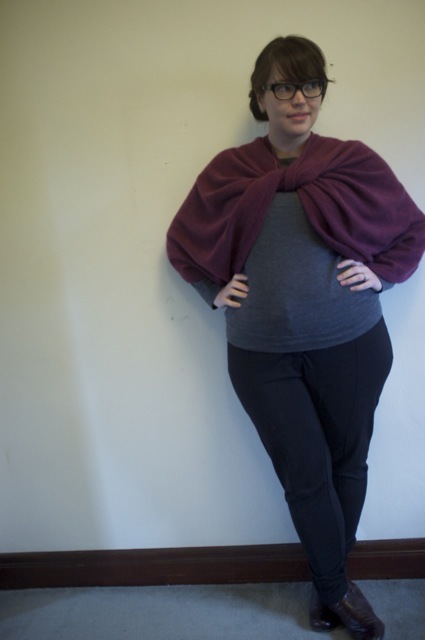 This deceptively simple configuration results in you being able to wear the shawl in a myriad of different ways! If you button it on one side and wear the buttons on the shoulder it becomes a poncho. I usually fasten the second row of buttons (under my left arm) and wear it like an asymmetrical vesty shawl type thing. 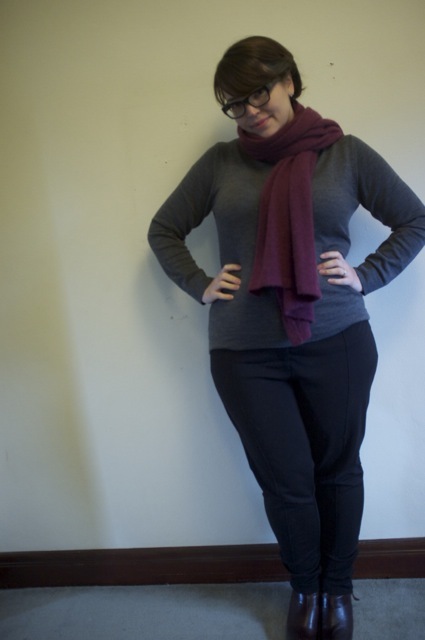 This is how I’m wearing it in the first picture. 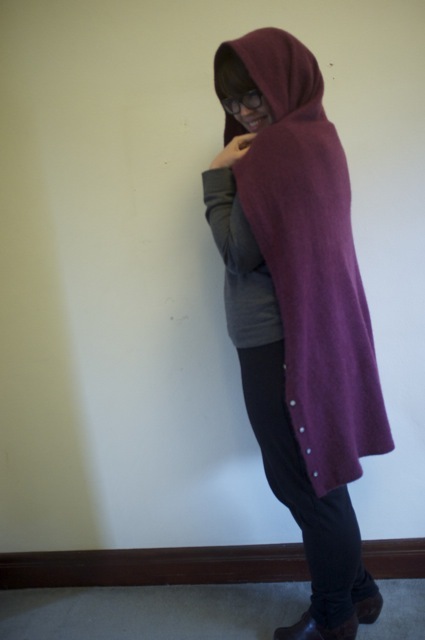 Put that line of buttons at the back, and it’s a longer cape with a cowl neck. Button both sets of buttons up along the long side, and you can wear it like a shrug. Twist it before fastening, and it makes a dressy cover-up for your shoulders. OK, now I’m just getting silly. I’ve rolled it into my handbag for a big of extra coverage in the cinema, draped it over my legs on a chilly plane, wrapped my shoulders in it while reading in bed on a wintery morning. I love it. It’s expensive, but it’s SO versatile. 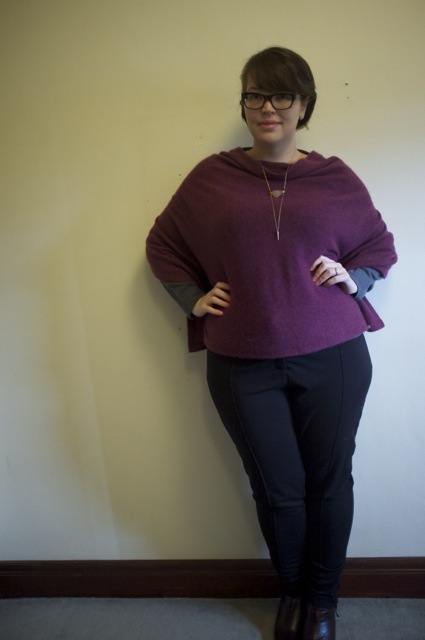 This entry was posted in Uncategorized and tagged cold, eugenie, laura ashley, Miz mooz, target, trousers by lillipilli. Bookmark the permalink. Gorgeous & such a lovely colour on you, Lilli 🙂 I may just have to take a peep at their e-store & will definitely put their shop on my list to visit on my next trip to Melbourne. You are hilarious! 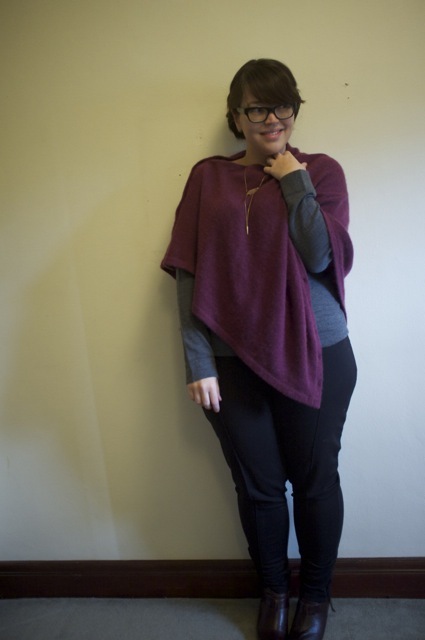 And I’m in love with that shawl…pity it’s been the warmest winter up here in Syd! 🙂 Meant to say thank you for the Suki pic in the last post..such a cutie! This looks fantastic. This piece would have made a wonderful addition to my travel in style post. Gorgeous finds as always miss lilli! I bought such a magical fashion device a couple of years ago at Muji’s. I know exactly what you mean when you say you’ve been wearing the crap out of it ever since you bought it. I’ve never tried the twist before fastening though, looks great! On you gorgeous but I just can’t…plus with my level if coordination I’d somehow manage to softly strangle myself or entangle myself terribly uncomfortably! Wow, great colour and so versatile! I do love pieces of clothing that can be worn many ways. Definitely a great investment.